…You can now purchase gift vouchers via our online shop. 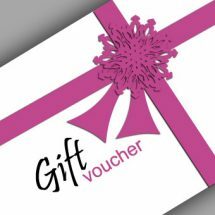 The vouchers come in £10, £15 or £20 denominations and can be redeemed against treatments provided by Paul Adkins at Positive Acupuncture here on the Truro Business Park. Vouchers are valid for 6 months from the date of purchase and can be used in full or part payment for treatment. No change can be given, but any unused amount can be put towards subsequent treatment. Vouchers are presented in a handmade card with matching envelope. Postage is free for gift vouchers and posted to the billing address, please let us know at the checkout (notes area) if you’d like them to be sent elsewhere or direct to the recipient. “I have now used a lot of their services and have been amazed by all of them in such a friendly and welcoming environment.